One of the main themes of the Harry Potter series is that the power of love and friendship will always win out over unhinged cruelty and evil. 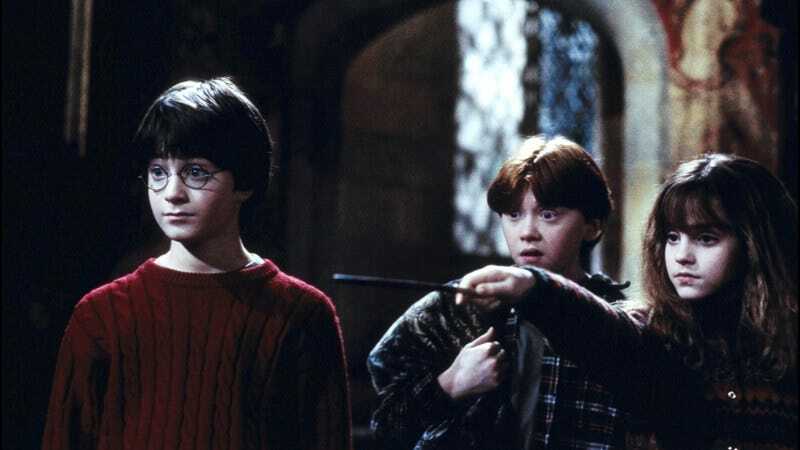 J.K. Rowling highlights this theme by consistently reminding readers that Harry would be straight-up dead if he hadn’t lucked into making two very important friends during his first few months at school. Whether he’s facing a series of trials in the tunnels beneath Hogwarts, barely making his way through the Triwizard Tournament, or whining through the entire fifth book, Harry would be a hopelessly ineffectual hero without his friends. Recently, Floccinaucinihilipilification, a German comic artist and avid Harry Potter fan, reimagined what the series would look like told from the perspectives of Harry’s life-saving compatriots: Ron Weasley, the true-blue mate who’s always there for a laugh, and Hermione Granger, the smart one who literally does everything important. While Harry is bumbling his way in and out of various deadly situations, Hermione is out here having great hair and setting up resistance armies. Ron, on the other hand, acts as the resident crash test dummy that keeps a passive smile as he’s pummeled repeatedly and mercilessly. Both of these series may sound less action-packed than the original, but nothing J.K. Rowling ever wrote could be as harrowing as Ron Gets Hit With Responsibilities.